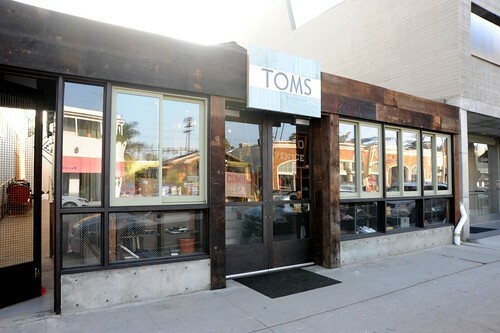 TOMS Shoes to Open at 1344 Abbot Kinney - Yo! Venice! TOMS shoes, which was started in 2006 at Blake Mycoskie’s Venice condo on Brooks Avenue, will open its first flagship store in Venice at 1344 Abbot Kinney on Saturday, December 15th. The store will include a café and host activities “to generate a creative and collaborative environment through music performances, craft classes, and movie screenings”. The café will feature drinks and food from LA-based companies Cafécito Organico, Valerie Confections, and Pressed Juicery. The full line of TOMS merchandise for Mens, Womens and Kids will be offered, including TOMS Eyewear.